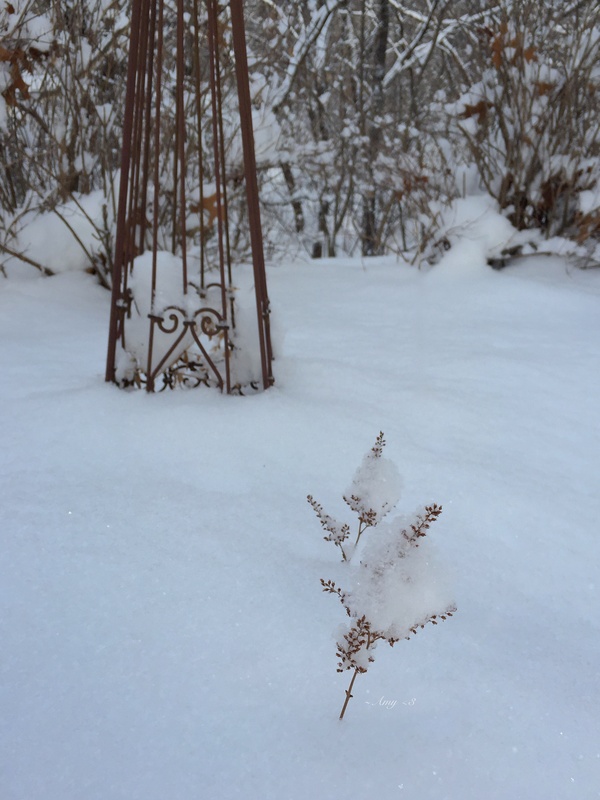 The frothy-petaled astilbe that graced last summer’s garden is fast asleep now beneath a feather-quilt of snow; each slumbering seed head nods and dreams beneath a starry diadem. I prick my ears to the hush of winter woods, a profound stillness disturbed only by the occasional sough of wind in the pines. I absorb the sacredness of blue light across these silent hills, where the soft-edged shadows of trees are brushstrokes of palest cornflower blue. 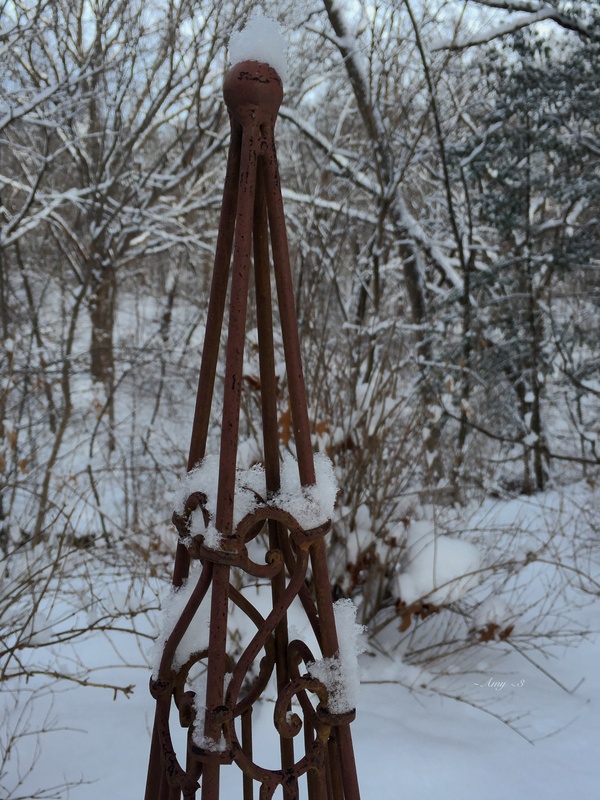 Winter’s intricate mysteries stir my curiosity. I wonder, how many thousands of individual flakes plait together to form a single skein of snow? A shy sun begins to peek through a veil of pearly cloud, and all at once, I’m embraced by the miracle of snow-light. All around me, the tiny surfaces of snowflakes flare with filaments of sun until the whole world sparkles like a penny Valentine. I dare not breathe and break the spell. 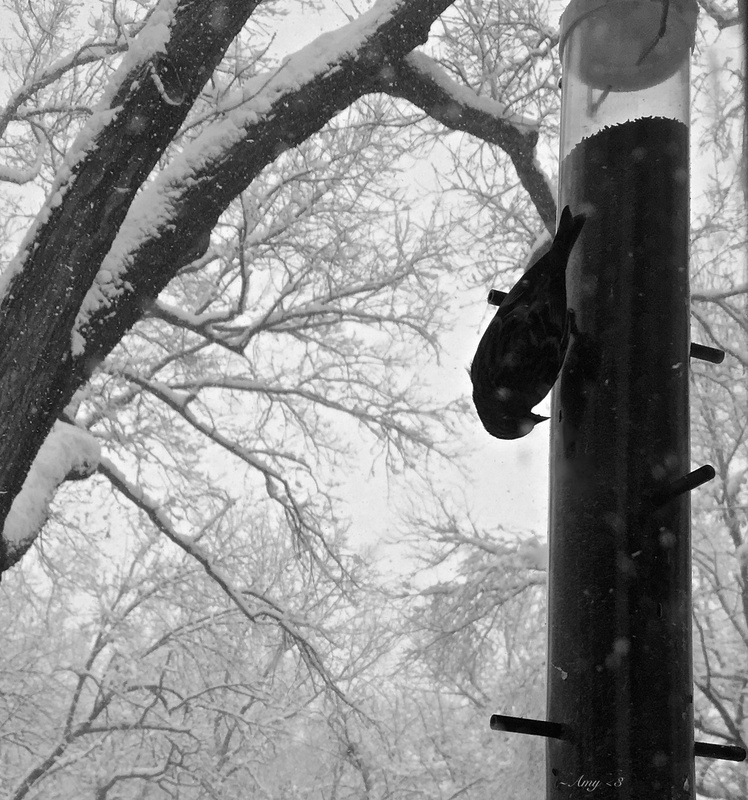 Bedazzled, I watch as winter works its crystalline magic. 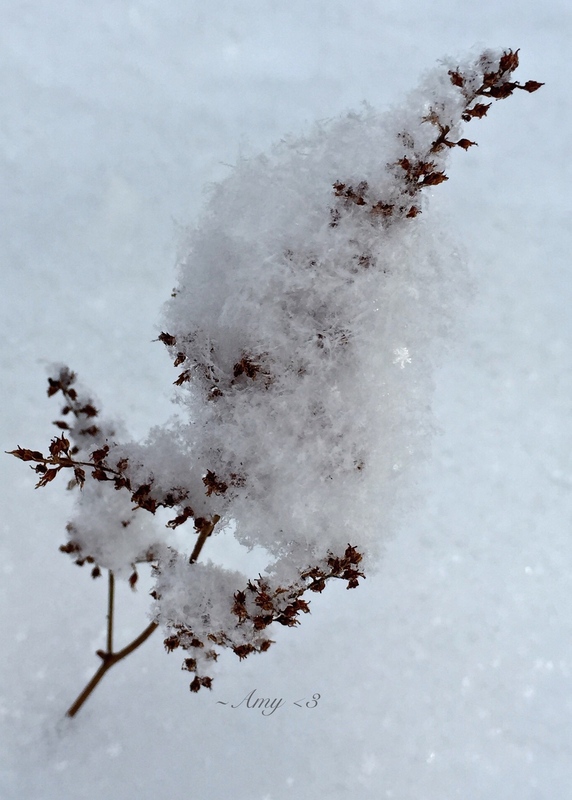 Leaning closer, I stoop to photograph a wand of astilbe with its snowy crown and happen to capture the delicate form of a single snowflake – one fragile star that fell from the skies to find its place here in my sleeping garden. Its tiny perfection bears witness to the infinite artistry of creation, to the unique and unrepeatable preciousness of the soul. 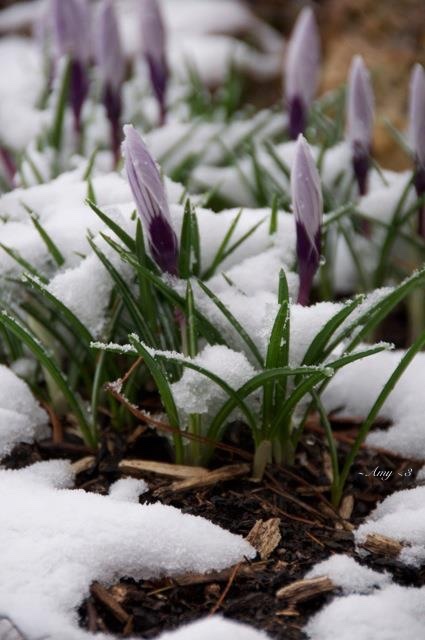 Here in a cathedral of twinkling snow, I look around in reverential silence and whisper thanks for this day, for this moment, for the wondrous, fleeting glory of this life.